Through the generosity of members and funds raised by the YNs themselves, the ANA awards merit-based full scholarships annually. This is an excellent opportunity for highly motivated and intelligent teenagers and young adults to enhance their knowledge of numismatics. Successful applicants will need to demonstrate their involvement, leadership and accomplishments in numismatics, as well as a desire to learn more about the hobby. Previous scholarship recipients are eligible to apply for current scholarships; the selection committee will place particular emphasis on how their previous education at Summer Seminar helped to further their accomplishments and interest in numismatics. Summer Seminar features a lineup of classes to meet virtually every collector’s needs, including ancients, paper money, counterfeit detection, grading, Civil War numismatics, digital photography, Colonial numismatics, hobo nickels, medals, tokens and more. Students learn from the hobby’s most prominent scholars, rising young stars and successful business leaders. Young Numismatists and adults will be enrolled in the same classes, which require maturity and responsibility from every participant in the seminar. Scholarship recipients will attend one week-long class of their choice, will be lodged in a Colorado College dormitory with counselor supervision, and participate in seminar programs and events. Scholarships are awarded in March, and preference will be given to applicants who demonstrate dedication to the hobby. 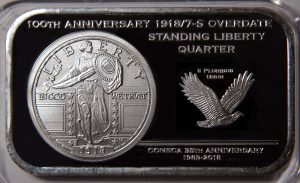 The American Numismatic Association is a nonprofit organization dedicated to educating and encouraging people to study and collect money and related items. The ANA helps its members and the public discover and explore the world of money through its vast array of programs including its education and outreach programs, museum, library, publications, conventions and seminars. For more information, go to www.money.org. 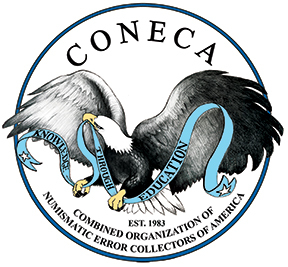 CONECA has several programs in place to help YNs enjoy and become more knowledgeable about both error and variety coins. Below are listed several ways in which YNs are given opportunities to win free coins as well as to learn more about the hobby. 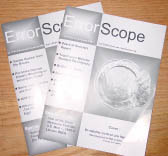 CONECA’s bi-monthly club journal “Errorscope” features regular articles as well as contests and opportunities which are available to young CONECA members. YNs can earn free coins by entering competitions, and also can learn about about errors and varieties through the many articles found throughout the journal. 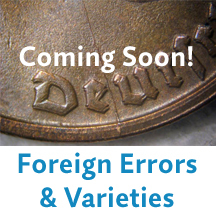 What’s the Error?There is also a competition held in every issue of Errorscope, where YNs are given the opportunity to identify an error based on photos and a few diagnostics, with the winners receiving a nice error coin. If you’re a YN and haven’t participated, do so in the next issue of Errorscope! ANA Summer Seminars: Free YN Scholarships to Attend! CONECA encourages YNs to try and win a scholarship to the ANA’s Summer Seminars, which is a yearly event held in June/July at the ANA’s headquarters in Colorado Springs, Colorado. There are a number of different classes, including a very fun and interesting class on Errors and Varieties, which is taught by renowned error/variety experts. If you’re a YN and are interested in winning a scholarship, the application to enter for a free scholarship can be found by clicking here: ANA SS YN Scholarships. Literary Contest for YNs: Write a 250+ Word Article! 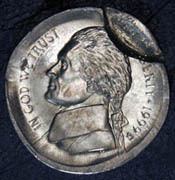 If you are 18 or younger and are interested in writing a 250+ word article to be published in Errorscope, there is currently a contest where you can earn a free 1999-P broadstruck Jefferson nickel valued at $25.00. The article can be about any topic related to error/variety coins. For example, you could write an article on how you got started collecting errors/varieties, or an article about a coin you recently bought or found; or perhaps an article about an error type you are interested in–the topic is your choice. Simply write the article and send it to me at: jon1900@me.com. If you need help photographing coins for your article, I can photograph them for you free of charge–just let me know. If you are unsure as to how to write and article go here: How To Write An Article. Additionally, publication of your article in Errorscope also qualifies you to receive a CONECA Literary Recognition Award. This award is given out every year to every single person who contributes a literary work to the Errorscope or the CONECA Website.